Here's a flipside to yesterday's question about why we should accept the JJ movies as canon. Star Trek is full of great characters but even then there have been the odd one or two who might have rubbed us all up the wrong way. I think this is very much a personal choice and no doubt there will be a varied range of answers. 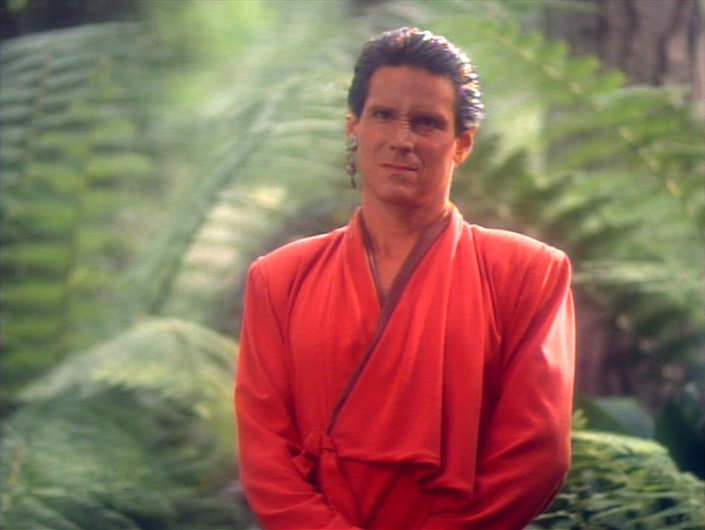 I did originally consider Vedek Bareil and the "outrageous" Okona but then I realised that there was a character I disliked even more than the drippy Bajoran priest or the annoyingly un-outrageous one. That would be Tuvix. Yes, the mix-up of Tuvok and Neelix has to be at the bottom of my list, even below the Talaxian chef himself. Starting out with one more transporter accident and ending in a moral dilemma about the right of existence, the second season Voyager episode itself isn't that bad. The trouble is the character of Tuvix himself. By the end you should be thinking whether it's right or not to separate him back into his original parts but it was one of the things about the show I was never more certain of, period. Think about it another way, his erasure from the Star Trek universe would not have a massive effect on events in the franchise but it might make me rest a bit easier at night(!). 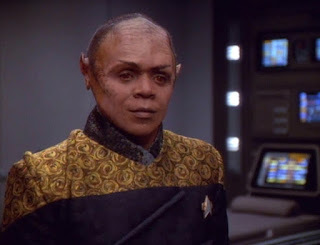 Tuvix just never sat with me as a character and the genuine concern that was supposed to be there turned into annoyance and a countdown to when Tuvok and Neelix would be restored. Who else might you choose for today? How about Isabella from Imaginary Friend or the Wadi from Move Along Home? 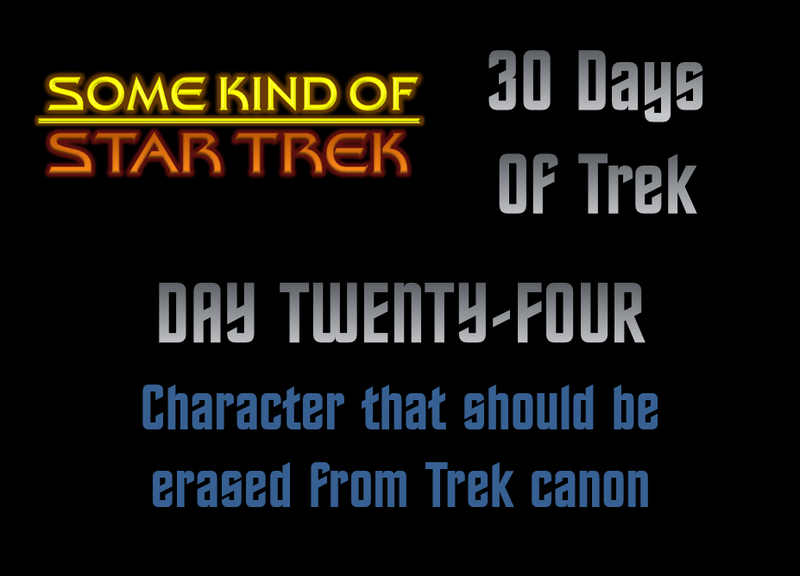 What's your reason for wanting them removed from the history of Star Trek? Question twenty-five will be with you tomorrow!